Maple Leaf Rag, published in US pre-1923. Ragtime is a style that developed from the roughest of neighborhoods and was originally performed in brothels. A precursor to jazz, it is enjoying a resurgence in popularity today. There are quite a few famous ragtime pianists, though many of the originators of the genre died before audio recording was widely available. Though not famous purely for his piano playing, Scott Joplin remains the most influential ragtime composer. Joplin wrote the first instrumental ("Maple Leaf Rag") to sell over one million copies. Though he never recorded a note, famous friends bore witness to his skills, saying that he played slowly but with perfect execution. Joplin created several piano rolls for companies, some of which survive today. Unfortunately, the illness that eventually killed him also caused his later playing to suffer, which is why there is debate as to his technical skill. Still, Joplin's mastery of ragtime composition laid the groundwork upon which later pianists would embellish. Another ragtime composer noted for his piano skills was Ferdinand "Jelly Roll" Morton . Beginning his training at a young age in a local brothel, Morton developed both great technical skills and a rather infamous ego. He brought the techniques he had learned from playing ragtime piano to Chicago, where he wrote the first jazz song, "Jelly Roll Blues." Morton brought traditions from New Orleans to the rest of the world and turned piano playing, and music in general, completely upside down. 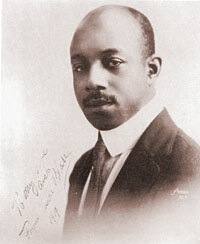 Eubie Blake was yet another practitioner of the style, though he incorporated other musical genres into his playing. As a boy of four or five, he climbed onto an organ bench while shopping with his mother. Blake started fooling around with the instrument, causing the store owner to proclaim him a genius. His parents bought a pump organ, and he received lessons from his neighbor. He also played in a bordello before moving on to play in proper bands. Blake composed the song Charleston Rag, which became a huge crossover hit. He went on to write one of the first Broadway musicals written and directed by African Americans. Sometimes referred to as New York Ragtime, stride piano developed from traditional styles into its own form of playing. Developed during World War I by Luckey Roberts and James Johnson, it relies heavily on the left hand playing a bass line and the right hand playing chords on alternating beats. Though it is often related more to jazz playing, stride was given birth through ragtime. Modern pianists continue to keep ragtime in the public eye. Butch Thompson was an integral part of A Prairie Home Companion between 1974 and 1986, serving as both the house pianist and band leader. Thompson began playing at the age of three, taking up lessons a few years later. After playing the clarinet in high school, he went to college and joined a local jazz group. After this, he traveled to New Orleans to learn from the masters of jazz and ragtime. He currently tours the world and hosts a jazz program on the radio in Minneapolis.